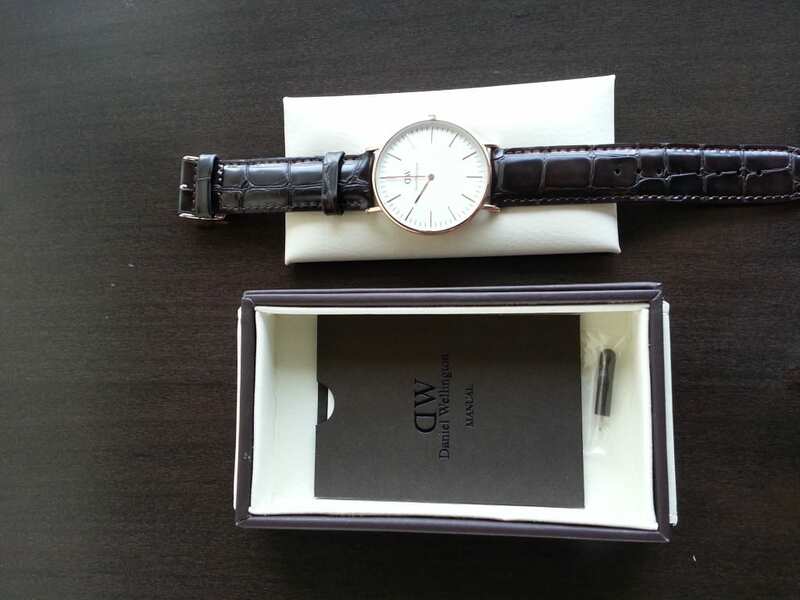 Before you read my Daniel Wellington Review.. I must say before you read any further that I am not some sort of fashion guru nor do I believe I have impeccable style. 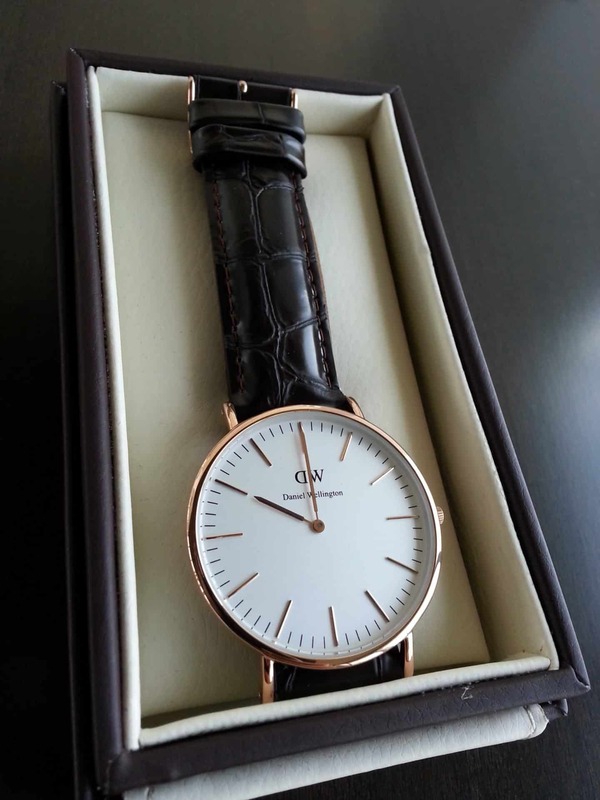 Fashion is something very subjective therefore I tend to go for something a bit more timeless – this is why I picked up the Daniel Wellington Men’s York watch for men. You may get more of a sense of my style from the fashion page on Instagram. I have read several other reviews online prior to buying this piece but none of them specified the packaging. This company is certainly paying very close attention to detail which is something I love. However as for the actual product I will list a couple pros and cons I have noticed. This watch’s face size is just at the right size without looking too flashy(one of my biggest pet peeves with watches). Mentioned earlier but a very minimal and timeless design – literally works well with any outfit. Slim casing giving it a very streamline like image. Strap is easily swappable – styles for summer/winter, formal/business casual etc. Leather seems to be easily worn down, could also be a pro if you go for that vintage look. Some watch enthusiasts may say you can get cheaper watches of similar style – I do agree, as I have a Seiko of this design for around $200 USD. 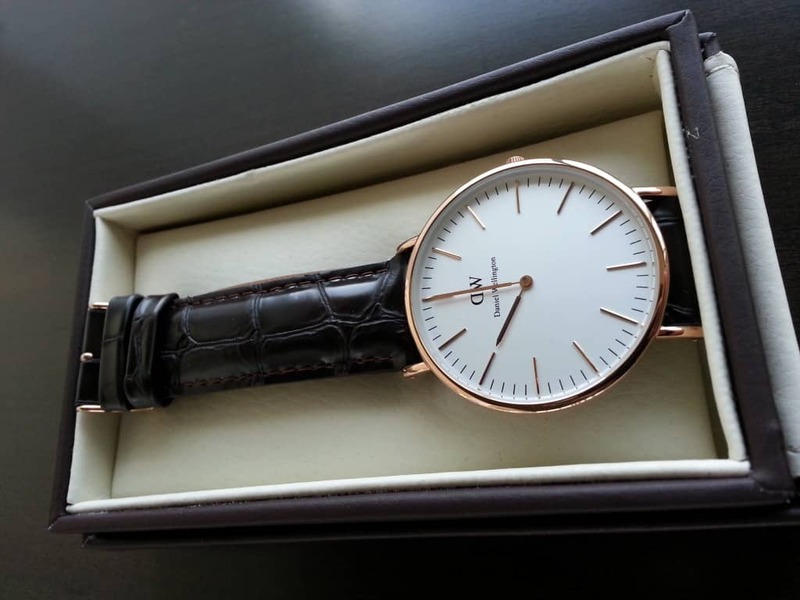 Should you buy the Daniel Wellington watch or not?! I cannot call this a Daniel Wellington watch review without coming to some sort of conclusion. This clean and minimal watch is of Swedish design and has the precision of Japanese Quartz. I absolutely love the versatility of the watch as it works well with any outfit as fore mentioned. I assure you will receive an abundance of compliments with your timepiece. Only issue is, you can get a similar watch from Norsejord for half the price. I actually prefer it over DW, since it’s more minimal and cheaper with the coupon code 20off. With all this said I will say I will not recommend this piece to the older generation, it will be more suited for young professionals. However if you are looking for a non-flashy watch that wows people in silence, look no further as this watch is exactly what you need. I advise you to always take a look at other Daniel Wellington watch reviews on Amazon. or if you are interested in other styles just click here to browse. As always feel free to email me if you have questions or inquiries!